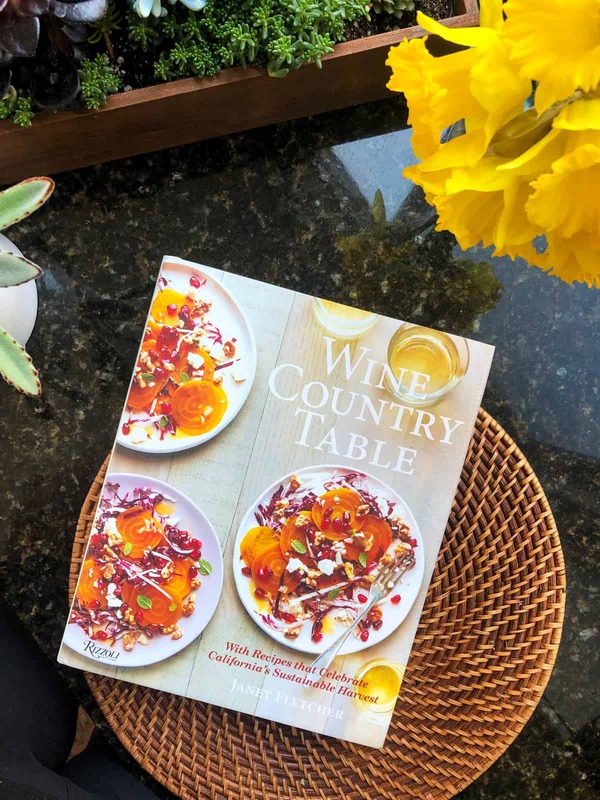 The California Wine Institute‘s highly anticipated cookbook is finally here! When I got my hands on it this week, I sat and browsed through all the beautiful photos. There are some great shots and stories about where our food comes from and who grows it, and I’m a sucker for those stories. Having grown up in an agricultural community, it always makes me feel close to my roots and connected to the land. Needless to say, the Roast Chicken with Lemons and Parika was promptly devoured! 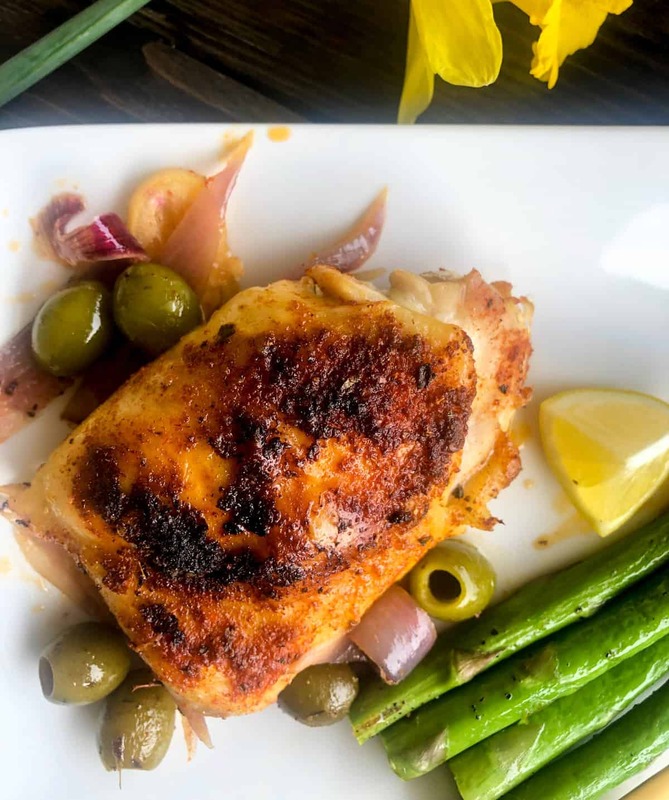 Many accolades were given about the crisp skin and the juicy consistency of the chicken. 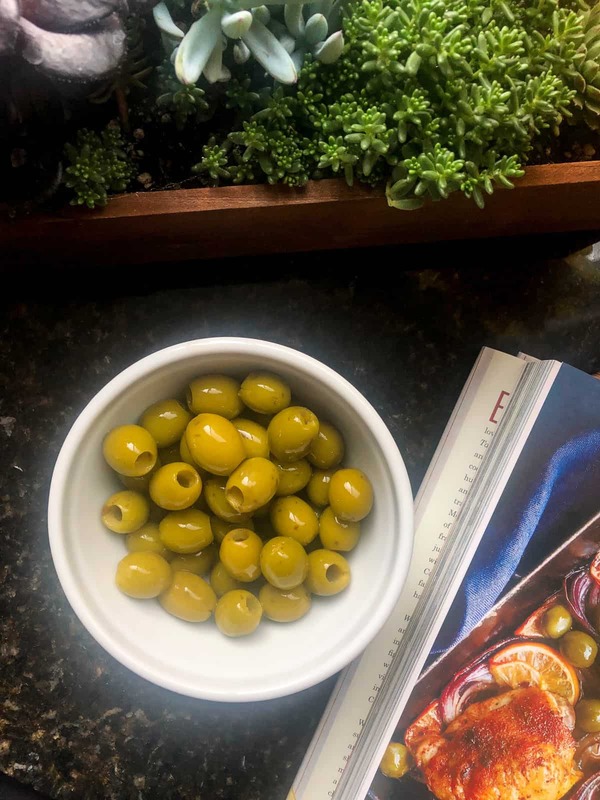 I loved the addition of the green olives at the end of baking time. 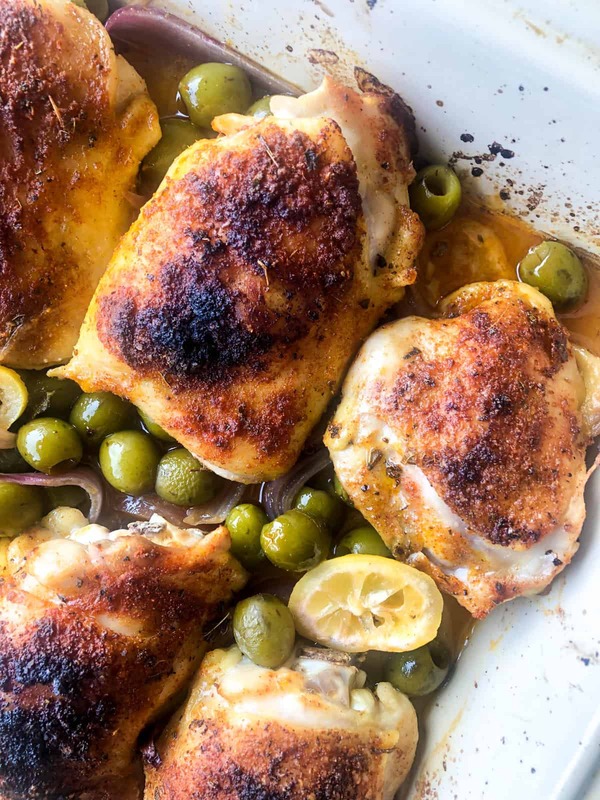 Paired with the paprika seasoning, it has an undeniable Spanish flair that is easy to love. Can’t you just smell the goodness through your screen? 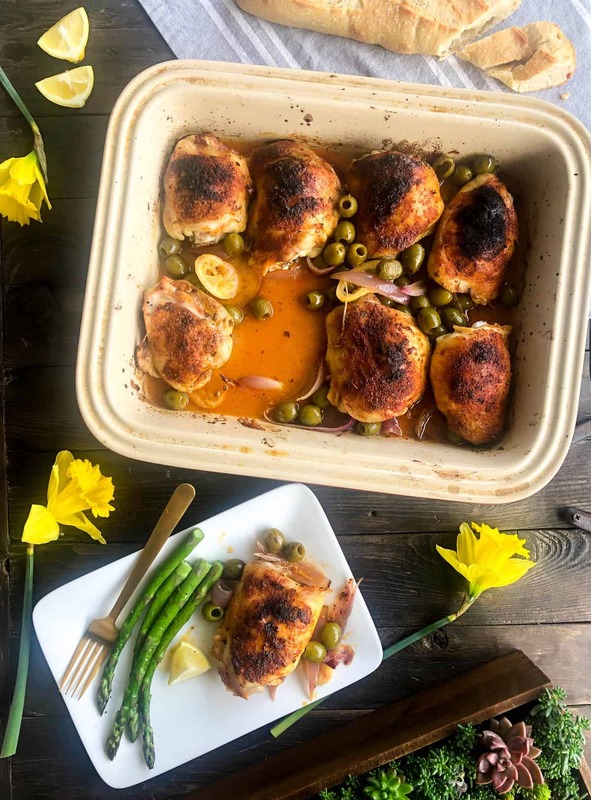 I served it with fresh roasted asparagus which I simply just popped in the oven the last 20 minutes that the chicken was baking. Easy peasy! Combine the 4 simple seasoning ingredients and stir to combine. 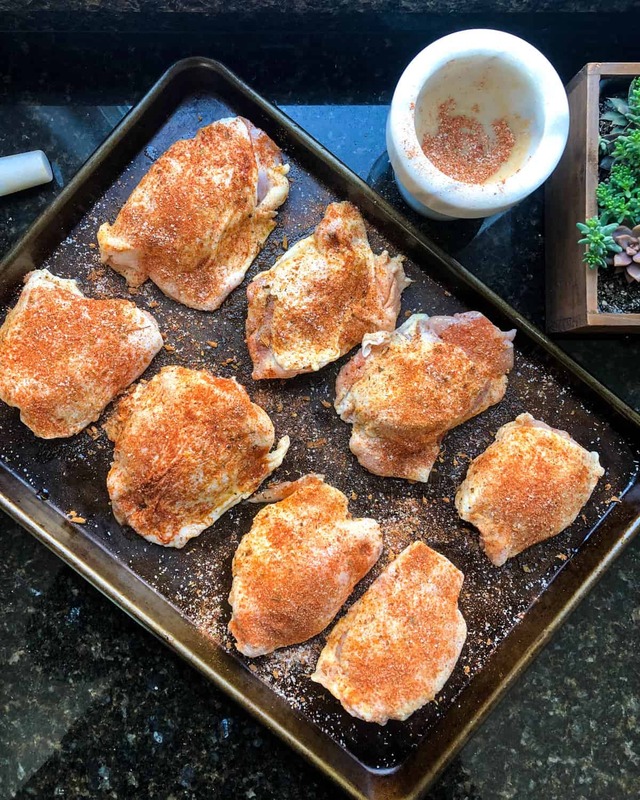 Coat each piece of chicken with California Olive Oil and dust with the spice mixture to coat both sides. 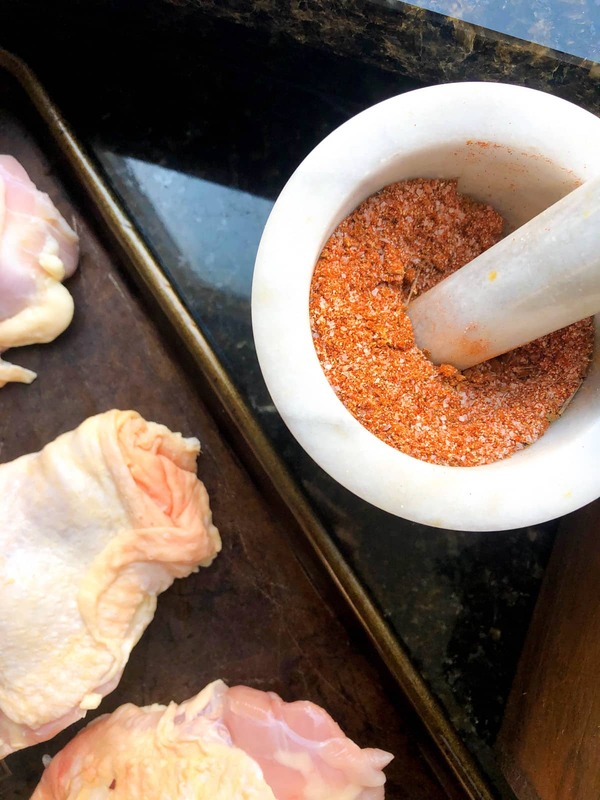 Allow the seasoning to rest on the chicken for at least 8 hours in the fridge. Top with the chicken thighs and bake for 40 minutes, basting once after 20 minutes. This helps the chicken get extra crispy! Remove from the oven and allow to rest 10 minutes before serving. 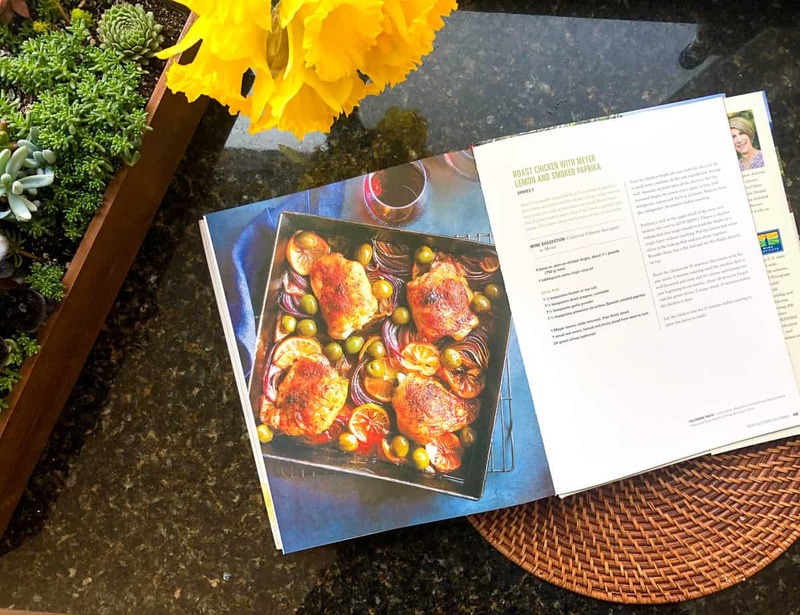 A perfect Spring weeknight meal! 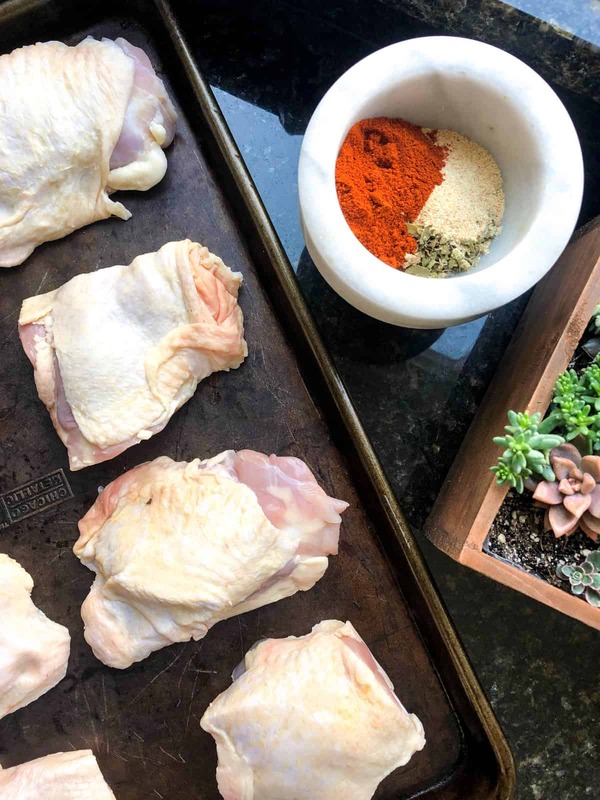 Place the chicken in a shallow pan. 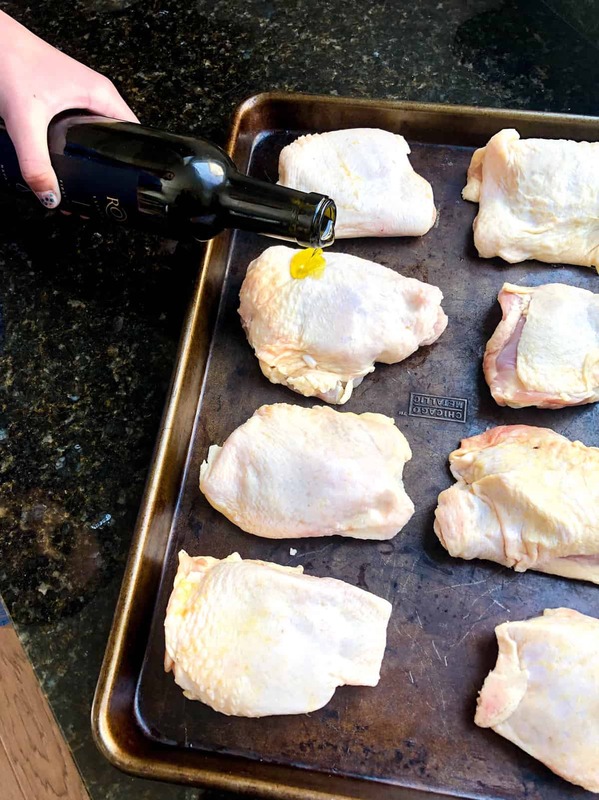 Coat the chicken pieces with olive oil on all sides. Combine all the seasoning ingredients in a small bowl and stir well. 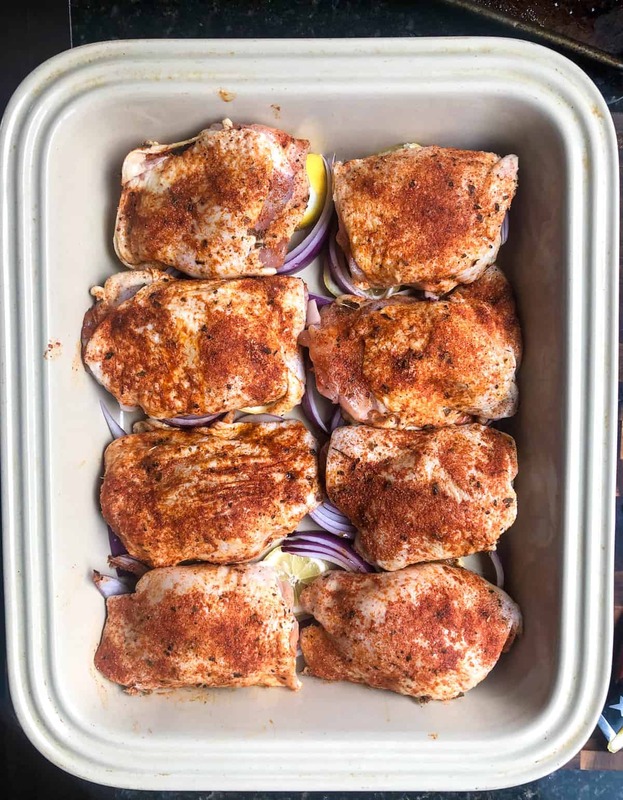 Dust the chicken on both sides with the seasoning and place in the fridge for at least 8 hours to marinate. Preheat oven to 425 and place wire rack in the top third of the oven. 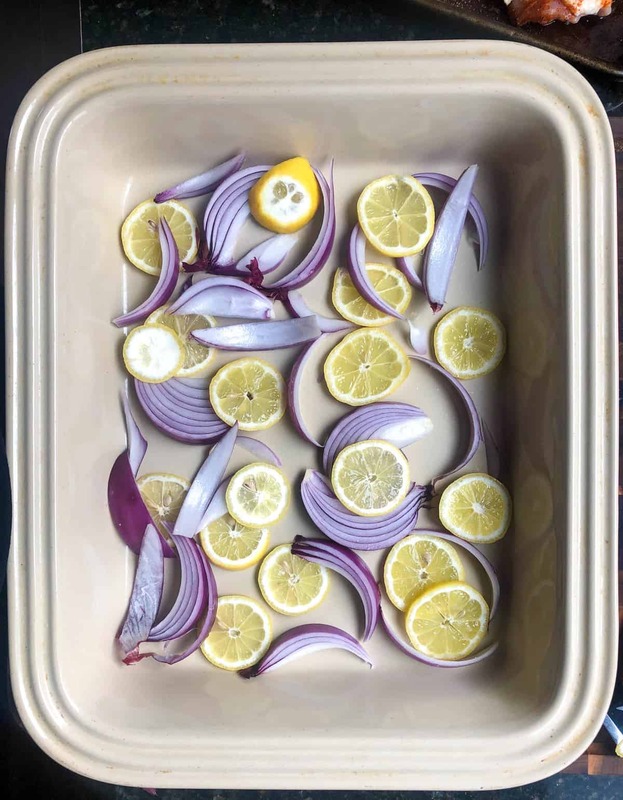 Place the lemons and onion in a single layer at the bottom of a shallow pan. Top with the chicken pieces, skin side up and roast for 40 minutes, basting after 20 minutes. 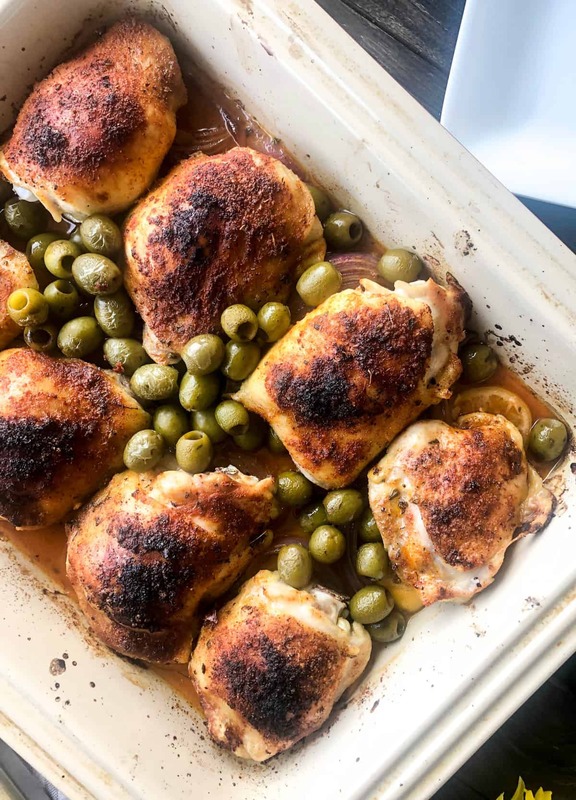 Add the green olives to the pan and return to roasting for another 5-10 minutes or until chicken is browned and cooked through.